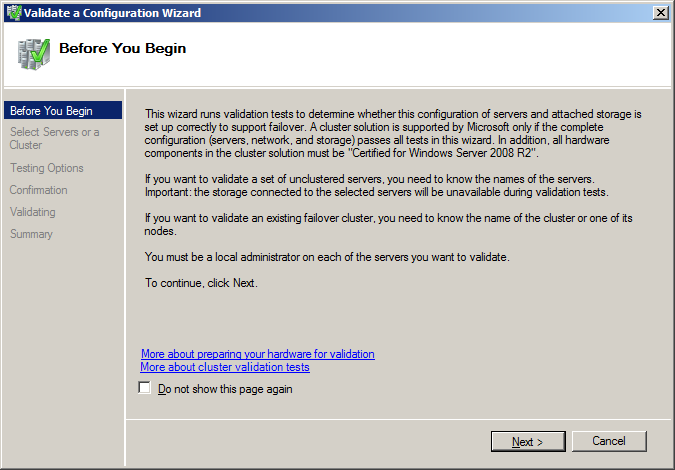 This is a step-by-step guide on how to set up a failover cluster in Windows Server 2008R2, in a test lab. A cluster is a group of independent computers that work together to increase the availability of applications and services, such as file server service or print server service. Physical cables and software connect the clustered servers (called nodes) so that if one fails another can take its place. » The nodes in the cluster must have at least two NICs each. One for the production environment, and one for heartbeat signal between cluster nodes. 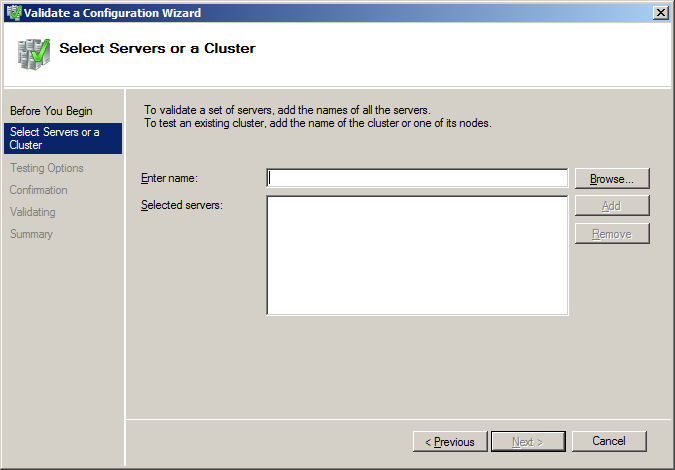 » The nodes in the cluster must have access to shared storage, be it iSCSI, SAN, NAS etc. » An AD domain, where the nodes must be members of the same domain. » There are also other AD related requirements, but basically you just need a user account with administrative privileges on the nodes, and Create Computer objects and Read All Properties permissions in the container/OU that is used for computer accounts in the domain. 1.1 Download and install VirtualBox, the installation procedure is quite straightforward, so I’m not going to write in details about that. Now create three virtual machines, with 1GB ram and 20GB disk each. Give Server02 and Server03 three NICs each, while Server01 will only have two. 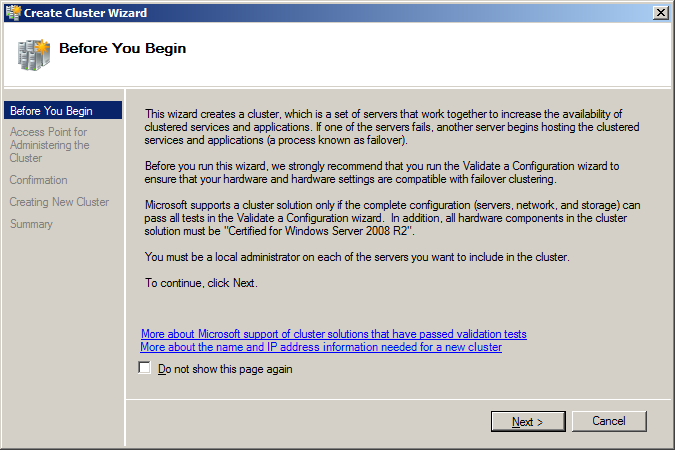 1.2 Mount the Server 2008R2 ISO on the three virtual machines, and install Server 2008R2 Enterprise edition (Full Installation). 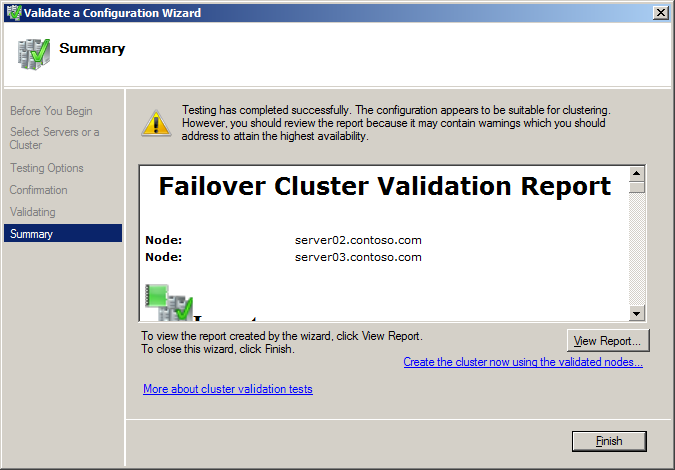 Failover Clustering feature is included in Enterprise and Datacenter editions of 2008R2 only. You can install Standard Edition on Server01, if you like, it does not make a difference. 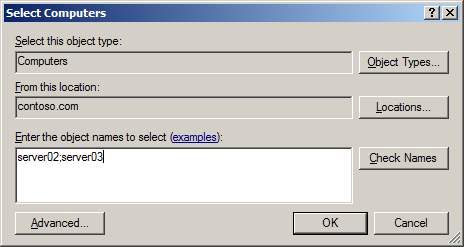 1.4 Install the Guest Additions for VirtualBox, and restart the servers. 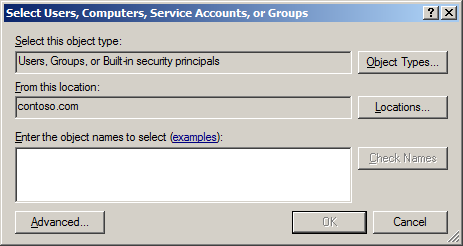 2.1 Install Active Directory on Server01. 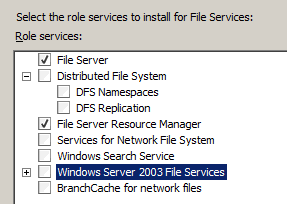 Step-by-step guide on how to to create the first domain controller in a new Windows Server 2008R2 forest. 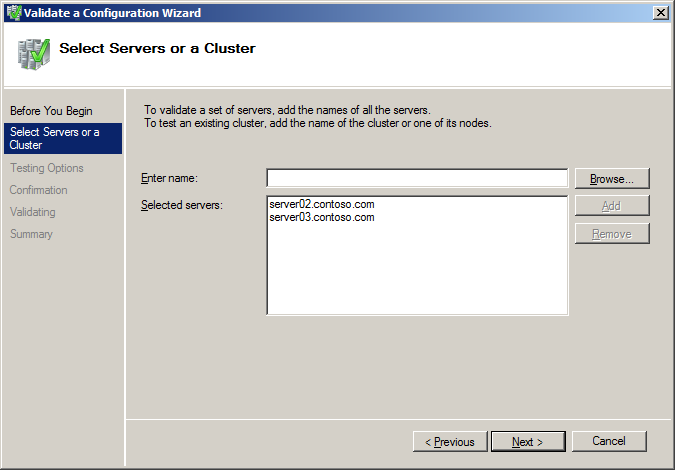 2.4 Join Server02 and Server03 to the domain. 3.1 Install StarWind iSCSI SAN Free Edition on Server01. 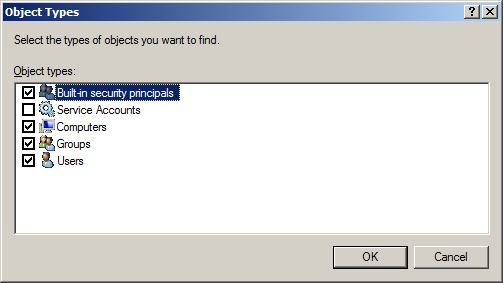 You will use it to create iSCSI targets, and shared storage. 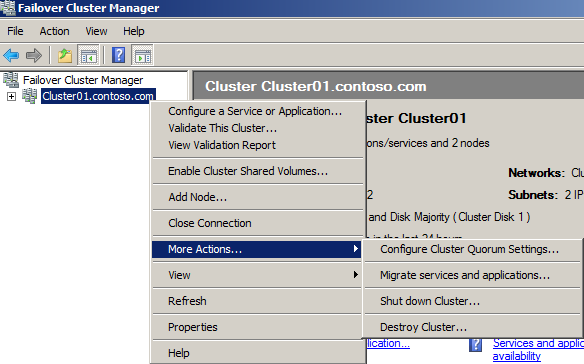 Each service/application in the cluster will require its own shared storage. 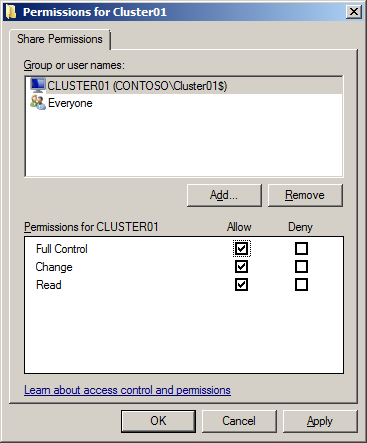 3.2 After having created a target and storage on Server01, connect Server02 and Server03 to the target and the storage. 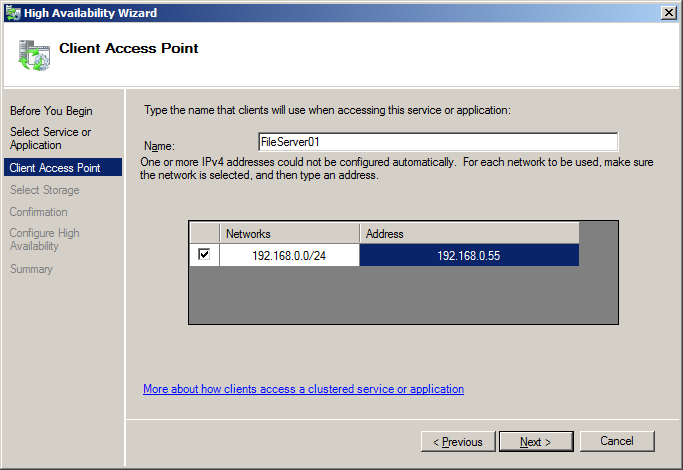 Remember to use the 192.168.1.10 ip address of Server01 to connect to the iSCSI target. 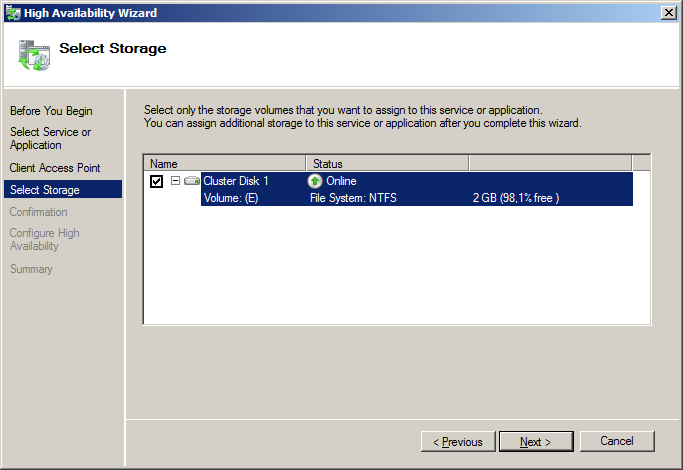 3.3 Initialize the disk, bring it online and create a single volume, formatted with NTFS on Server02 only. 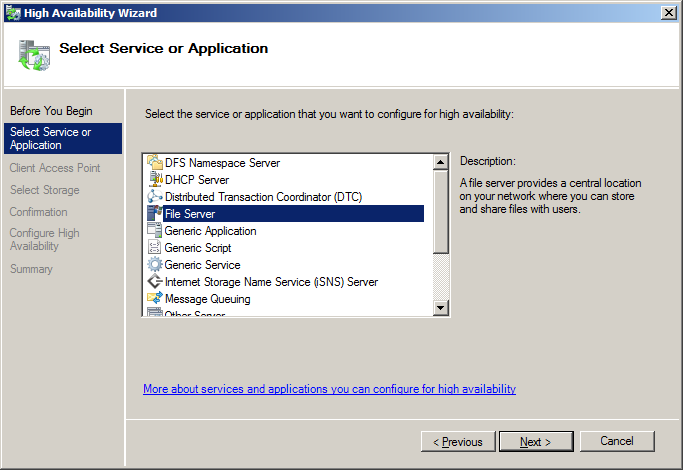 Step-by-step guide on how to to install StarWind iSCSI SAN Free Edition, create targets and storage, and then connect to said targets and storage. 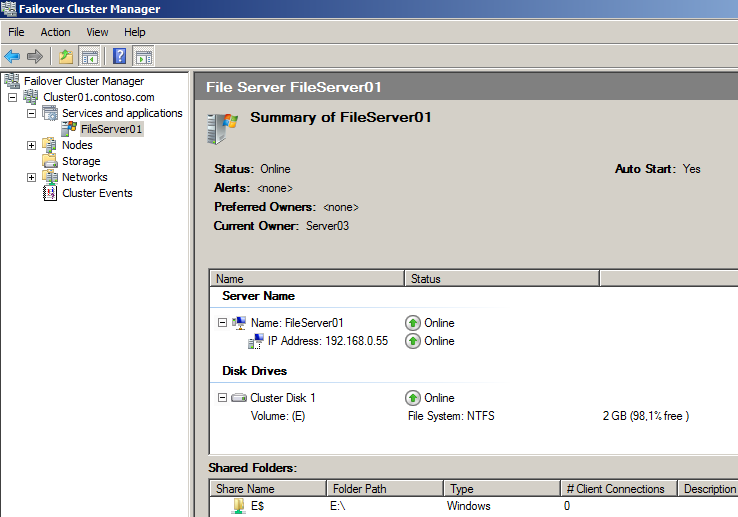 Here I have created a volume labeled Shared Storage, and assigned it the drive letter E: on Server02. 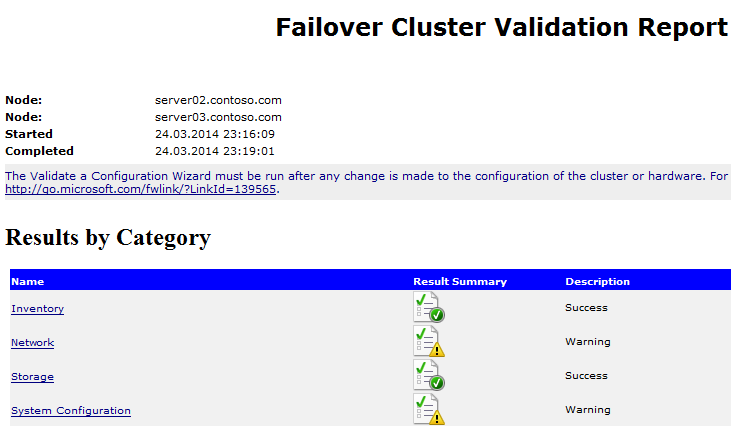 Install the Failover Clustering feature on Server02 and Server03. 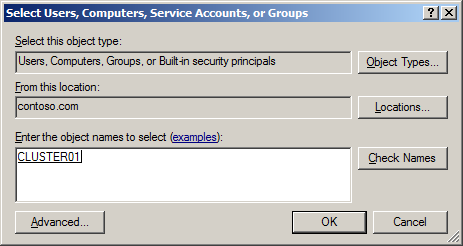 You can either create a new domain account (remember the permissions it needs), or use the built-in Administrator account of the domain, to log on to the servers. As you can see, I received some warnings on the network configuration of the servers. If you click the Network link in the report, you can see a description of the warning. Since this is not a production environment, but just a test lab, you can easily ignore all such warnings of trivial matter. The other warning you will receive is about drivers being unsigned. Once again, just ignore warnings of such trivial matters. 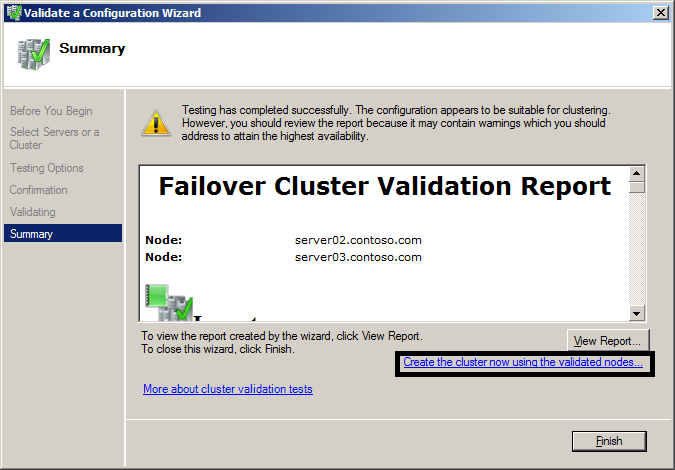 All validation reports will be saved at %systemroot%\Cluster\Reports, so you can view the reports any time you like. 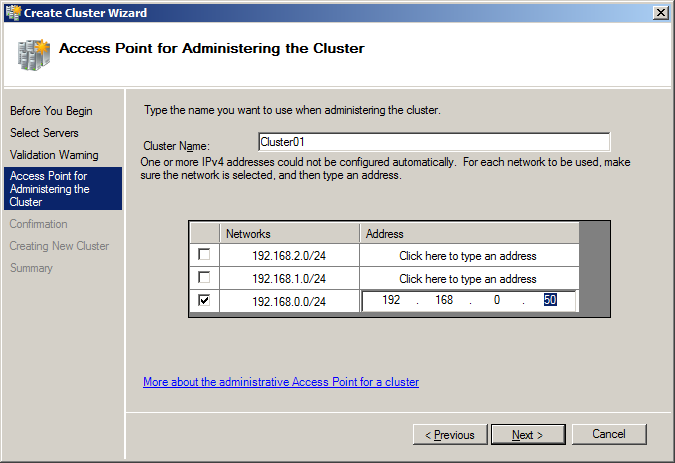 5.11 Type the name you want to assign to the cluster, and then give it an IP address. 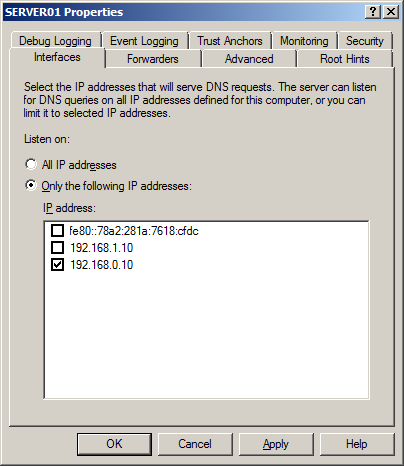 As you remember, Nic1 was for the production environment, therefore untick the checkmark for the other two Nics and only assign the cluster an address in the 192.168.0.0/24 segment, such as 192.168.0.50 for example. 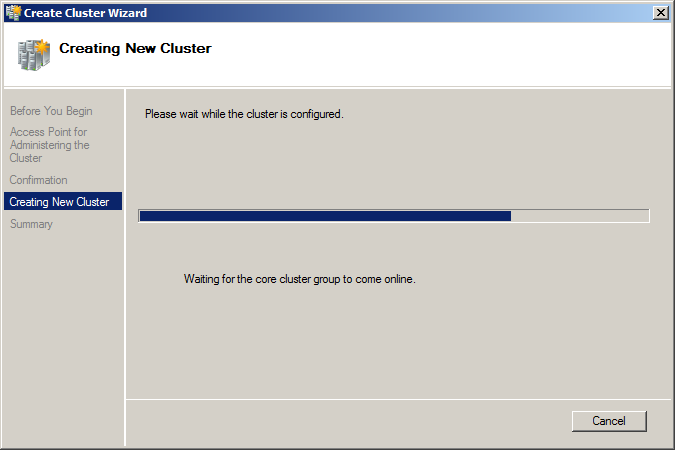 Click Next twice, and the cluster will be installed. 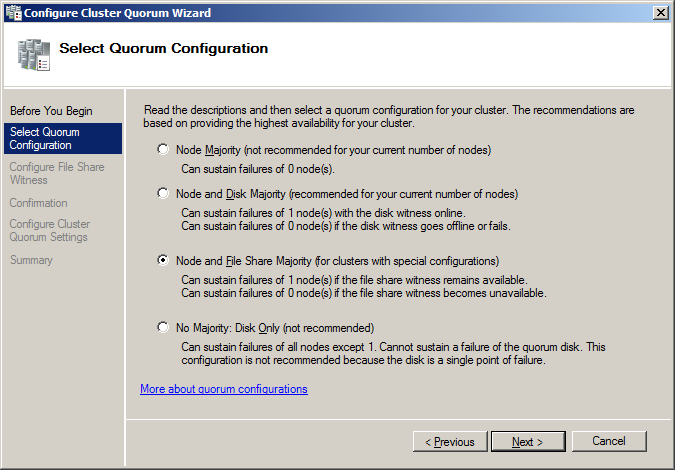 6.1 As you can see in the previous screenshot, the Quorum Configuration is Node and Disk Majority. 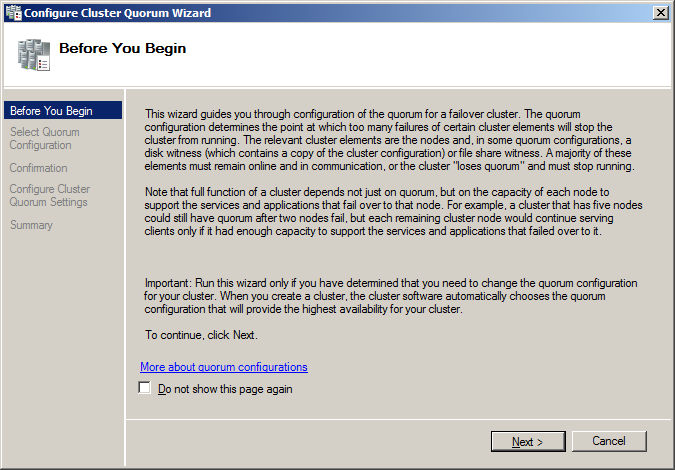 Since we currently have only one shared disk, we can not use this Quorum configuration, because that disk is being used as Quorum disk. So lets just change it to Node and File Share Majority. 6.11 Write the path to the share we created in step 6.2, or browse to it, then click Next, Next again, and Finish. 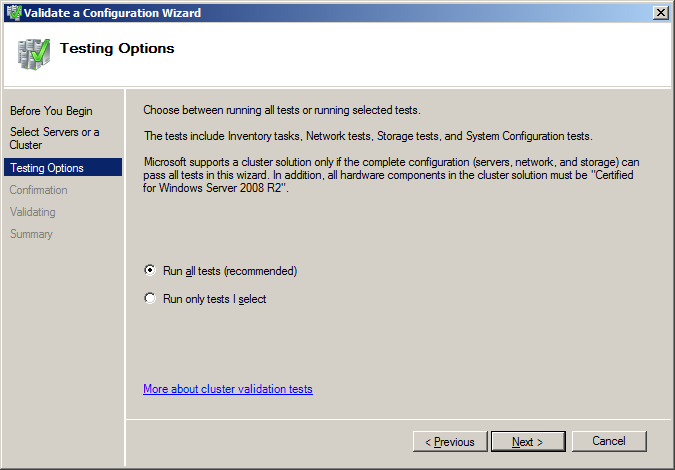 7.1 For this test lab’s purpose, lets configure the File Server service on the cluster. 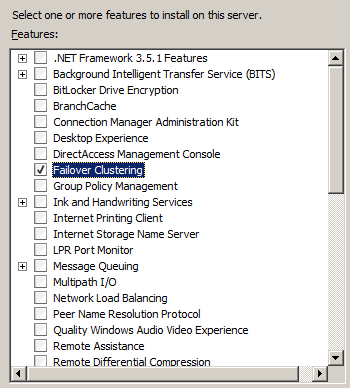 But before we can do that, we need to add the File Services role on both nodes. 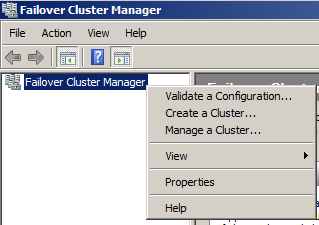 7.9 And thats it, you now have a clustered file server clients can connect to, and which will automatically failover to the second node, if the first node fails. Thanks for the tutorial, it was very helpful.